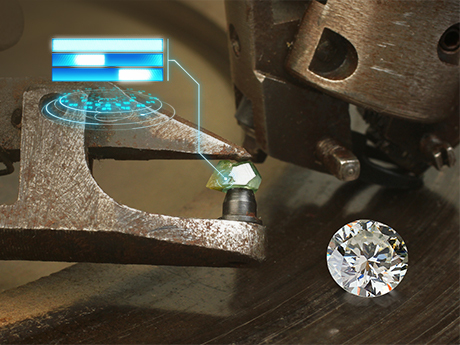 Physical-marking technologies prove provenance for diamonds and gemstones for complete supply-chain security. When it comes to precious gems, transparency is not only important when considering the clarity of a stone, but also in the journey it takes as it is mined, polished and sold. Combined with blockchain technology, you can have a complete and transparent record of a gem from mine to market. A record that can identify diamond mines, confirm diamond authenticity and assure conflict-free provenance. Rough diamonds from a mine are marked with taggants—chemical tracers—resulting in unique identification of gemstones. These taggants are invisible-to-the-human-eye physical markings that are verified using a handheld reader and/or laboratory analysis. During the polishing process, taggant is removed and the gemstone is laser marked with a barcode. 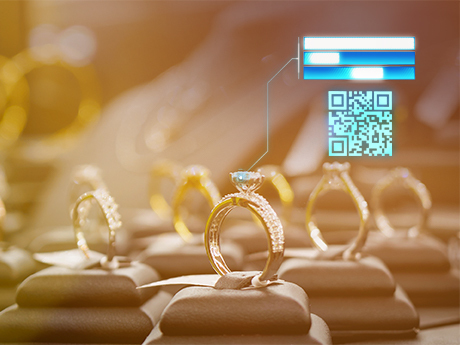 Your existing laser is already capable of marking gems, and with a software package, you’ll be seamlessly upgraded to the capability of marking impossible-to replicate 2D barcodes. At a retail location, the laser marking can provide sellers and buyers with the complete story of the stone. The addition of our proprietary detectors and software to taggant technologies and laser-marked barcodes, results in a highly secure system that can’t be replicated or fooled. As a turn-key solution, using custom chemistries and laser marked barcodes, these gemstone and diamond provenance solutions can be integrated into the process you already have in place. Microtrace and Photoscribe bring together expertise in taggant technologies and laser-marking systems for a mine-to-retail solution. As the exclusive provider of the original taggant technology, Microtrace is a leader in product authentication. Photoscribe has long been the industry leader of laser systems for diamonds and gemstones. To explore options for implementing a complete system for diamond and gemstone provenance, fill out this brief form.